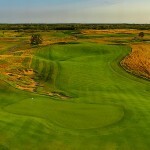 Occupying 652 acres, Erin Hills provides an enjoyable escape from urban life. 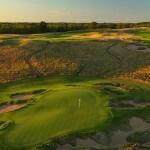 A minimalist design by Michael Hurdzan, Dana Fry and Ron Whitten over the tumbling land left by glaciers, Erin Hills has quickly entered the international golf scene. 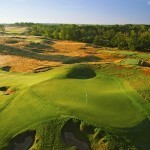 It hosted the 2008 U.S. Women’s Amateur Public Links and 2011 U.S. Amateur and will host the 2017 U.S. Open, the first time that championship will be played in Wisconsin. 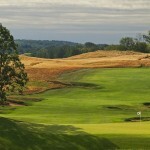 The fine fescue fairways ensure firm and fast playing conditions. In addition to its 18-hole course, Erin Hills offers a comprehensive practice area, a variety of overnight accommodations, and exemplary dining. Only a 45-minute drive from Milwaukee’s General Mitchell Airport, Erin Hills provides an ideal getaway. Traditionalists will delight in the walking-only culture of the course. 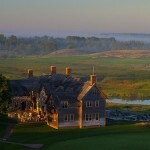 Erin Hills was recently named by Golf Digest as one of the Top 10 Public Courses in the United States.